Baggage shipping - How to send excess baggage? The transportation of all kinds of excess and / or non-standard luggage is subject to prior agreement with the airline when booking and purchasing tickets. It is common knowledge that the airline baggage shipping rates are much higher than the prices offered by shipping companies. Email us your baggage shipping to Australia requirements and will try to bit every quote you have received from your airline. We can also offer much more than your flight provider. If you need we can collect your extra luggage from your home anywhere in the UK and deliver it to any address in Australia. Just give us a chance to prove you haw competitive we can be. Requesting quotes is free an with no obligation! If you have never used the plane as a means of transport, or you have flown short distances only you should take a look at the luggage rules. This will allow you to avoid unpleasant surprises at the airport in the form of additional control, extra charges for too heavy baggage, or a need to get rid of some of your belongings at the airport. All passengers are entitled to two types of luggage free of charge (except for low-cost flights and most economic airlines). The hand luggage that is carried in on board and the main baggage that travels in the hold.Each airline has its own conditions on the size and weight of luggage that depend on the class and itineraries. We recommend that you familiarize yourself with the rules at the time of booking. Baggage information is available on the websites of carriers or airport agents. The exception is British Airways, which in the ticket price allows to possess 23kg of luggage. NOTE! Passengers are allowed to take with them only small quantities of liquids in their hand luggage. Each liquid has to be in a separate container with a maximum capacity of 100 ml. Packaging should be placed in one transparent plastic bag (up to 1 litre) with the possibility of closing. One person may carry not more than one litre of liquid. mascara, other items of similar consistency. If you have any questions regarding the shipping of some other types of extra or special luggage please contact our office. We will be happy to give you some tips. In order to check in the larger luggage you should turn up at the airport about 2 hrs before the scheduled departure. In the case of the passenger being late, the freight and people carrier may refuse to transport the baggage. 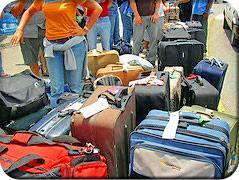 The baggage insurance should be included in the ticket price. The terms of this insurance are governed by the Montreal Convention or the local authority depending on the country of origin of the carrier. Regardless of the Convention, which applies to your journey, you can increase the limit of liability for loss, damage or delay of baggage by providing a separate declaration at the check-in desk of the baggage value and pay the appropriate additional fee. 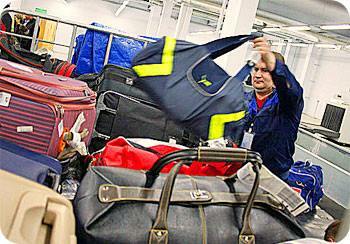 Excess luggage is associated with additional shipping costs and it can be very expensive. Therefore, you may want to weigh your hand and main baggage at home to make sure you fit in the limit. The penalty for 1kg of excess baggage can be as high as £50. Some airlines allow for free transportation of musical instruments and sport equipment shipping, such as a surfboard, ski, golf clubs, guitar etc. Always check your ticket if it includes this option so you do not have to pay extra to send your special baggage to Australia. Sometimes the ticket price may be a bargain but with the addition charges for your special luggage the final price may be much higher. 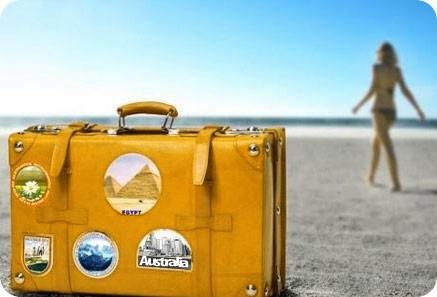 We can provide cheap extra luggage shipping to Australia from UK. No airlines operating from Europe to Australia allow the movement of animals on the deck or in the hold of the aircraft. If you are interested in moving a pet we can help. How much is it to send a luggage with the low cost airlines? Cheap flights not always come together with your luggage. Before you get your cheap ticket you should check - especially using the so-called low-cost airlines - what are the limits of hand luggage and what are the prices for extra luggage and excess baggage. In many cases it turns out that there are additional costs associated with the carriage of extra baggage and usually they additional amount to be paid is a very unpleasant surprise. It may even cost you more than your ticket. Of course it depend what airline have you chosen to take you to Australia. According to our resent checks, taking with you only one additional baggage can mean an extra expense of £15 - for a lightweight suitcase, out of season, and the payment of up to as much as £230 pounds (!) for a bit heavier luggage if you left to the last minute and pay at the airport. Still other rates, even higher will apply for travelling with or shipping musical instruments, a child car seat or a bicycle.